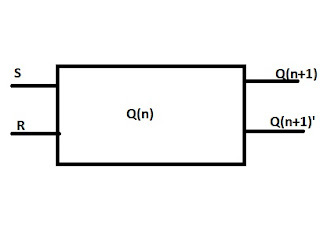 As we know that the flip flop is a bi-stable device or bi-stable synchronous device.In which Synchronous means(in respect to Triggering) at the time of triggering their was some slight changes in an output. 1)Level Triggering:-When the clock pulse goes high then Flip Flip can called as Level Triggered Flip Flip.The main dis advantage of this flip flop is that it change stages many times when clock pulse is positive or negative for long time. 2)Edge Triggering Flip Flip:-When the positive transition is defined as positive and negative as negative then flip flop can called as Edge Triggered Flip Flop. Master Flip flip is used to handled the timing problem.S-R and J-K flip flop can't handled the timing problem. Master Slave Flip Flip is also drawn/constructed with JK Flip Flop. 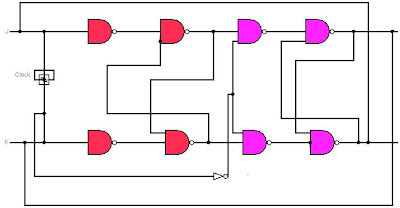 In which the Red gates portion are called as Master flip fl0p and pink portion are called as slave flip flop.So the combination of Red and pink portion are called as Master Slave JK Flip Flop. 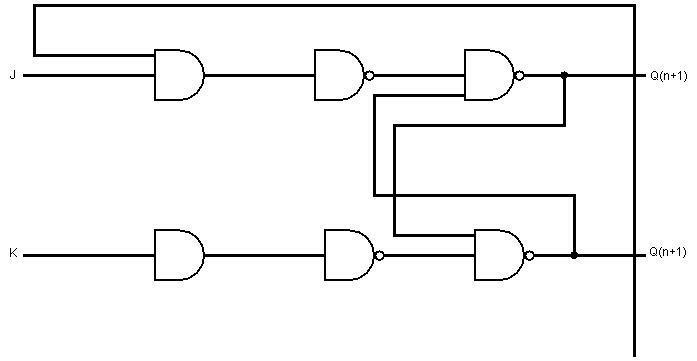 T Flip Flop:-T flip flop stands for Toggle flip flop.It change the output when high signal is applied. 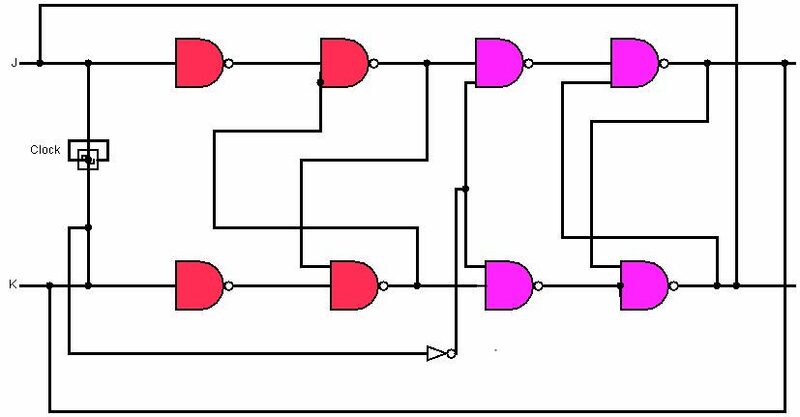 JK flip flop is an electronic circuit in which a letter 'J' refer to set and 'k' refer to Reset. 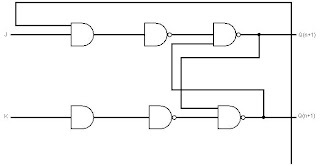 D Flip Flop:-'D' stands for Delay so it is also called as delay flip flop.It delay the input by a clock pulse.It can either be construct with clock or non clock. 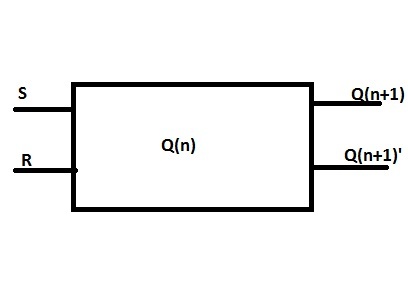 Flip-Flop is a circuit which contains 2 outputs,one for normal value and other for opposite value or in simple words,it contains two states i.e. 0 and 1. S-R stands for Set-Reset,in which reset means "clear".We can construct S-R flip flop with or without clock.In which '1'=Set and '0'=Reset.